Heavy weather brushes a sunset illumination of San Francisco as seen from the Marin Headlands Hawk Hill. There was actually a winter storm advisory for snow on the hills surrounding the bay area. 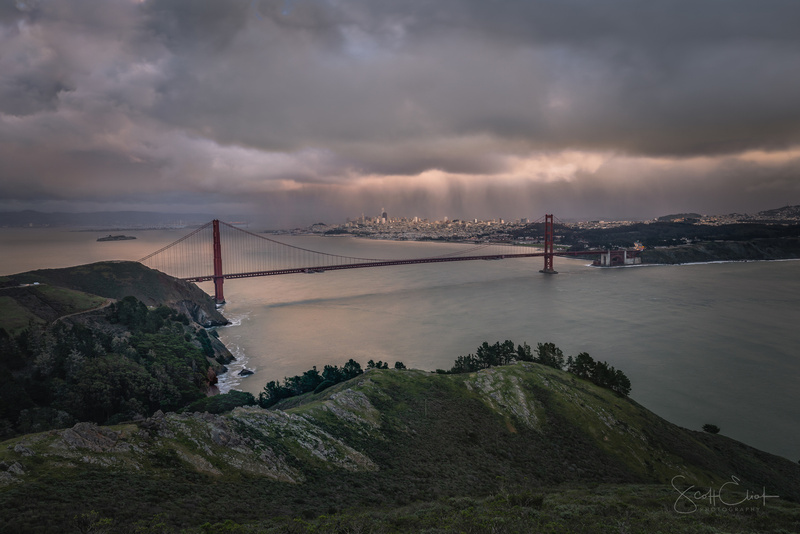 Shortly after this composition I was ambushed from the pacific side of the Marin headlands by one of the most battering violent hail squalls i've seen in a while. That was enough for one evening. Maybe 100mm would be better focal range.